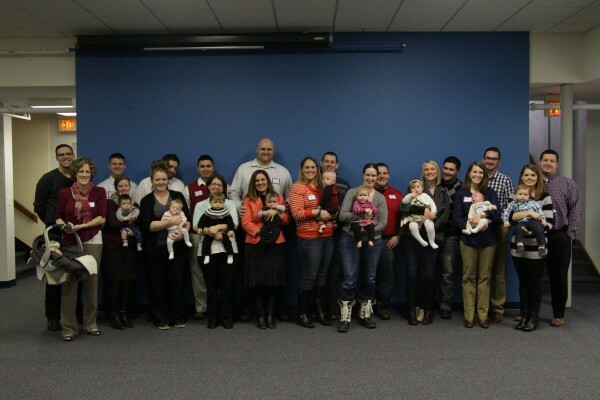 The St. Paul community welcomes babies and their parents into the family of faith. For St. Paul families, a home-cooked meal will be delivered with love. Family resource packets make their way to your mailbox – expressing the church’s warm encouragement and care when a baby arrives on the scene. Are you expecting? When you give birth to or adopt a child, it’s a time for the church to be present in important ways. Please share your happy news with the church office when your baby is born or adopted. Our pastors are eager to extend the church’s love and support as family life unfolds. Contact Becky Harper. A nursing moms’ room, found just off the central coat room near the main stair case, is a comfortable place for moms and babies – with an audio feed from the Sanctuary. Christian worship strengthens the faith journey for families with children. The sights and sounds, the togetherness with other worshipers, introduce even the smallest child to the joys of living with God. One-year-olds: Connect and share in the joy and exhaustion of life with a newborn. Learn what it means to form a child’s faith. A gathering for parents of children born the previous year is held in January.